* This offer cannot be used in conjunction with any other offer. 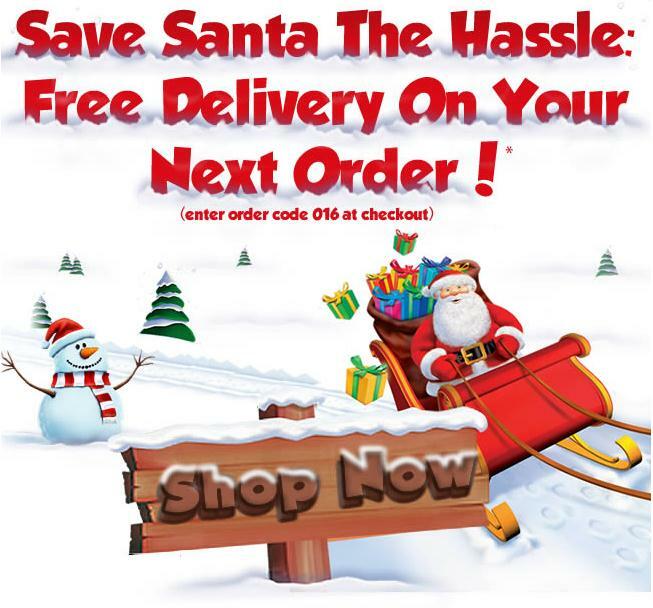 Free Delivery refers to standard delivery costs only and does not extend to any items marked with a heavy goods symbol. This offer is non-transferable, and can only be used by the intended recipient. It is valid for one order only and expires on 22.12.12. Enter order code 016 at checkout. Ace is a UK-based online shopping website: we have over 35,000 products including a range of personalised gifts for the whole family, toys & games, fashion clothing & footwear, homeware, wedding stationerya, electronics, games, DVDs and lots more! At Ace, we also specialise in helping you prepare for the best Christmas ever, with our extensive range of Christmas decorations and trees, Christmas gifts, accessories, sweets and treats, Christmas tableware, cards, wrap and calendars - everything you need for a perfect Christmas! Ace home shopping -toys & games - fashion clothing & footwear - Christmas gifts & decorations - homewares & electricals.